Almost as soon Kylian Mbappe joined PSG, his teammates started calling him “Donatello,” as they felt he bears a resemblance to the staff-wielding member of the Teenage Mutant Ninja Turtles. 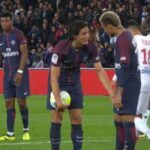 They shout it at him on the team bus and Thiago Silva even gifted him a Ninja Turtle mask in a Dior box as a gag (the orange mask is Michelangelo, but whatever). 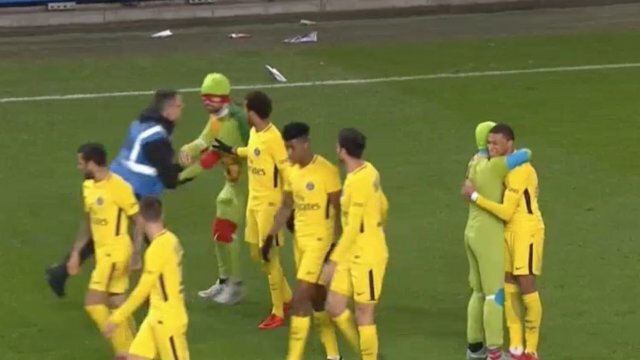 So during Saturday’s match between Rennes and PSG, two fans dressed as Ninja Turtles invaded the pitch after Edinson Cavani scored in the visitors’ 4-1 win and hugged Mbappe (who himself scored earlier in the match) amidst the celebrations. All of this makes me wish Mbappe joined Barcelona because Luis Suarez could definitely pass as Splinter.